Chris Cornell in Red Bank, NJ. On Tuesday night, one of the best voices of our generation came to Red Bank. Chris Cornell brought his Songbook Tour to Count Basie Theater. To say that I was excited to cover this event is a huge understatement. Bhi Bhiman opened the show. Bhiman has a pretty fantastic voice also, and he was a perfect choice to open the show. Cornell took the stage promptly at 9 pm, and the sold out crowd took their feet. Throughout his almost 3 Hour Set Cornell addressed the audience often. He told stories. He told jokes. He answered a couple screamed out questions, and he sang incredibly. He has also been known for his voice, and live I was blown away. He sounded even better than I thought he would. 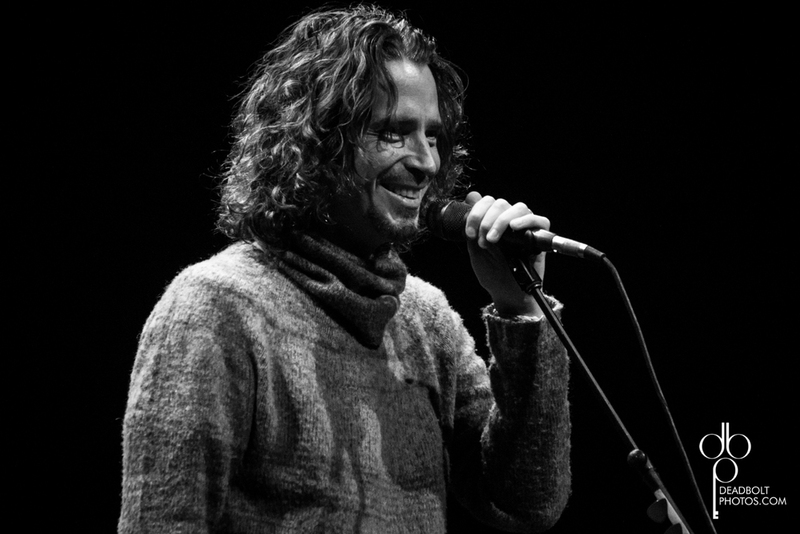 He touched on all the songs you wanted him to sing: Soundgarden, Audioslave and his solo work. Plus he threw in some covers. He even reached back to his days with Temple Of the Dog. He spoke about living in NY and how much he loves it. And how excited he was to have his song "Seasons" in the new Superman movie- a movie his son loves. From a photography point of view, it wasn't my favorite shoot. There was no photo pit, minimal lighting, and not much in the way of excitement. But from a musical point of view, I could not have been more pleased. Chris Cornell is definitely one of those singers they will be talking about forever. Setlist below, courtesy of pop-break.com.